As the binary options industry continues to grow, the regulatory issues are also turning into a hot issue. Regulatory authorities oblige all licensed brokers to adhere to stringent standards and also have the power to discipline firms who fail to do so, and to order these brokers to desist all activities until said regulatory body is satisfied that they are in full compliance with regulations. These responsibilities include providing traders with accurate information, fair price quotes, reasonable payout structures and segregated bank accounts. Regulation matters to binary options traders. Investors demand dealing only with a credible, licensed and fully regulated brokerage firm and realize the importance to consider the government from whom that regulation comes. Titan Trade, a newly-established binary options broker, is working hard and exerts its utmost efforts towards being regulated. The people behind Titan Trade strive to promote a fair and transparent trading community wherein traders can trade with peace of mind. We have already submitted an application to regulatory bodies including CySEC and CFTC (Commodity Futures Trading Commission). This action is a clear indication of Titan Trade being dedicated to promote an honest and fair dealing Titan Trade trading environment. With Titan Trade regulated, traders are guaranteed to have full and instant access with their funds whenever the need arise. Regulated brokers must keep its clients’ funds in segregated accounts that are completely separate from the broker’s operating accounts. 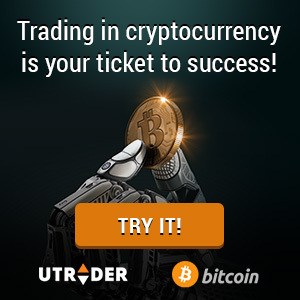 This is to ensure that the funds are protected and that the company cannot use the money in one trader’s account to pay out another winning trader. Having fair, up-to-the-minute and accurate pricing is another determining factor to consider before placing a binary trade. Also, regulated brokers are subject to random and independent platform tests ensuring that they are offering reasonable prices across all assets. Hence, if Titan Trade finally receives its license, you can rest be assured that your investment is given just by trading fair price quotes and well-structured payout rates. Titan Trade regulated will happen as soon as possible. With our strenuous efforts towards fairness and transparency, it’s of no doubt that these regulatory authorities will approve our license application.